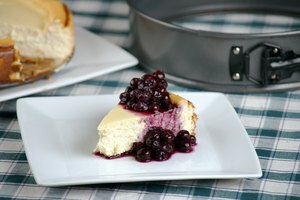 While a traditional cake can simply be separated from a cake pan by running a sharp knife along the edges and then flipping the cake out of the pan, this can't be done for certain types of cakes. 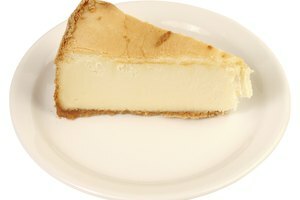 Specialty cakes like cheesecake or tiramisu are designed in such way that they contain layers of ingredients that must be baked and presented in a specific order. The unique side lock of the springform pan is the solution to those outliers. The capability of separating the sides of the pan from the base allows you to release those troublesome cakes while keeping them intact, and using them is quite easy. If you're not baking your cake in a water bath, simply grease the pan prior to pouring in your cake batter. Because springform pans have been known to cause slight leakage, wrap the exterior of the pan with a sheet of aluminum foil, or place the springform pan on a larger baking sheet to prevent any messes in your oven. 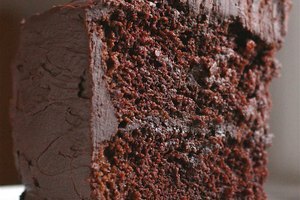 If you'll be creating a water bath for your cake it's very important to wrap the entire exterior of the springform pan in aluminum foil to form a protective barrier. 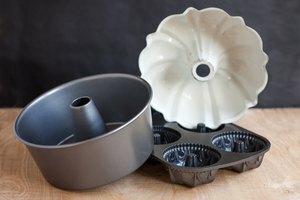 An alternative to wrapping your springform pan is to place it in a slightly larger, traditional cake pan before placing the entire thing in a water bath. The outer cake pan won't prevent your cake from experiencing any of the benefits 0f the water bath. You'll want to first run a sharp knife along the edges of the cake as soon as it's removed from the oven. This will prevent the cake from sticking to the sides of the pan as it cools and expands. Don't remove the sides of the springform pan until the cake has completely cooled to room temperature. Once cooled, unclasp the side lock, slowly opening and widening the sides. Then gently lift the sides up and off the pan. Place the cake with the base of the pan in your refrigerator until it's chilled. Once thoroughly chilled, use a metal spatula to slide the cake off of the springform pan base. If you're concerned about your cake not sliding off of the springform pan base as easily as you'd like, you can always insert a cake board or sheet of parchment paper between the base of the pan and your cake batter.